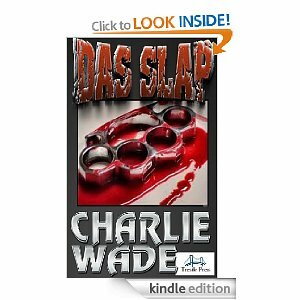 Having read some of Charlie Wade's excellent fiction online I had some idea what to expect from Das Slap. Wade brings you dark deeds and tense plot lines but almost always with his trademark dark humour. Das Slap is no exception. When Sally's friend Josie is beaten and hospitalised Sally goes out to seek revenge on those responsible. Being a capable woman she leaves behind her a trail of devastated and bruised male egos. You can't help but smile at some of the nasty ways in which she seeks her vengeance. In the story we learn where the intriguing title originates from. Wade seems to be conveying a deeper meaning about Sally's prejudices and the truth when she discovers it surprises her and will you the reader. Das Slap is the first part in an ongoing series. If this sublime tale is anything to go by then Charlie Wade will send us on a heck of a ride. I have no problem giving Wade's effortless, funny and satisfying prose a solid five stars.